Correction: An earlier version of this story incorrectly stated the amount of land purchased. The buyer paid $13.84 million for 2.59 acres. Formativ, the group planning the World Trade Center at 38th Avenue and Blake Street, purchased the 2.59-acre site under the name 28th and Blake LLC on May 2, city records show. Property records list Formativ managing director Josh Marinos as the manager of the buyer. Marinos declined to comment on plans for that location when reached by email last week. The seller is Silver Lake Properties LLC, an affiliate of Longmont-based Western Foundries, according to city records. City records show the investors also received a $9 million loan on May 2 through Investment Property Exchange Services, a subsidiary of mortgage giant Fidelity National Financial that specializes in 1031 tax-deferred exchanges. 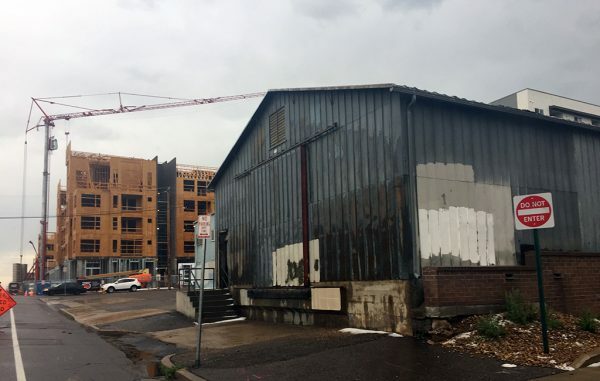 The site includes a lot at 2801 Blake St., a building at 2763 Blake St. and parking lot and warehouse at 2750 Blake St. That last parcel sits across 28th Street from Mill Creek’s Modera Blake Street, a five-story, 182-unit apartment development. Formativ, headed by Industry co-founder Sean Campbell, is planning office space, coworking space and a hotel in the first phase of its World Trade Center development.